The Philippine Carabao Center (PCC) recently conducted a one-day training for 12 farmers from Barangay Parista, Lupao, Nueva Ecija on the production of high quality corn silage. Held at the PCC national headquarters in the Science City of Muñoz, Nueva Ecija on September 25, the training was conducted as part of the PCC’s collaborative project with the Philippine Council for Agriculture, Aquatic and Natural Resources Research and Development (PCAARRD) on the “Commercialization of Grass/Forage Corn Silage for Dairy Buffaloes in Lupao through a Technomart”. It was organized by Dr. Eric P. Palacpac, technomart project leader, with support from Charity Castillio, project research assistant. “Ang paggawa ng may kalidad na burong mais ay napakahalaga. Kung magagawa natin ito, ang produkto natin ay mas lalong magiging competitive at magagawa pa natin itong i-export sa ibang bansa para sa mas malaking kita (Producing high quality corn silage is very important. If we can produce corn silage product with high quality, it will be more competitive and we can even export this to other countries to have more income),” Dr. Palacpac emphasized in his opening remarks at the start of the training. 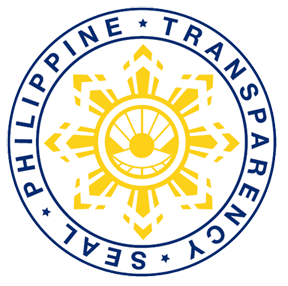 He pointed out that under the Philippine National Standard on Corn Silage Production (PNSCSP), recently set by the Bureau of Agriculture and Fisheries Products Standards (BAFS), the quality of corn silage products in the country will be monitored and checked before these are sold to the target markets, whether locally or internationally. “The BAFS will be the one to certify if our silage meets the standards,” he said. Dr. Daniel Aquino, PCC’s technical expert on silage production, discussed the importance of the BAFS standards on corn silage production. He illustrated how the quality of silage is affected by low quality ensiling. “Kung hindi masisiksik ng mabuti ang mais na buburuhin sa lalagyan nito, maaari itong magkaroon ng hangin sa loob dahilan upang mabuhay ang mga mikrobyo sa binuburo at magkaamag ito. Ang produktong may amag ay hindi maaaring ipakain sa kalabaw sapagka’t maaaring magkasakit ang kalabaw dahil dito, bumaba ang produksyon ng gatas at makunan ito kung buntis (If we will not ensile our corn silage properly, our product will have air that will give rise to bad microorganisms and cause molds. Corn silage that has molds should not be used as feed for buffaloes since it may cause diarrhea in the animal, lower the level of its milk production and abort its calf if it happened that the animal is pregnant),” Dr. Aquino explained. 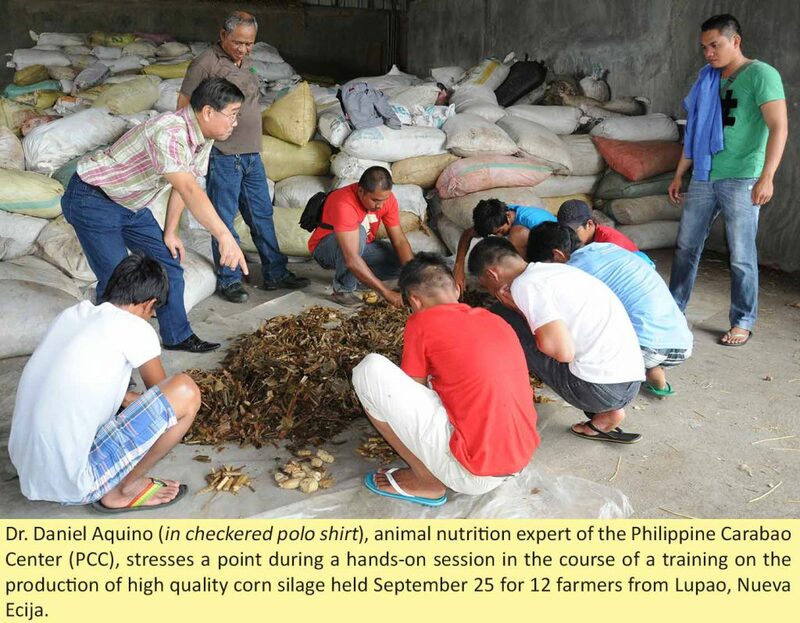 Aquino advised the farmer-participants to ensile their product properly and follow the standard of silage production to come up with high quality product. Proper corn silage production calls for the right ratio, color, odor and the right ph level. Based on the applicable standard, the silage product will be classified accordingly as having good or bad quality. “In silage production, the silage must have a right ratio of 1:1 kg for its corn stalk and leaves while its corn grains or ear must be of 30%. The corn must also be harvested at maturity age of 75-80 days before production and the color of the fermented product must also be yellowish green. It must also have a sweet aroma smell, 25mm to 100mm cuttings and ph level of 4.2 to 4.7,” Dr. Aquino explained. Dr. Tsutomo Fujihara, PCC’s Japanese technical consultant on nutrition and silage production, also demonstrated the proper maintenance of forage chopper. For his part, Nur Baltazar, head of PCC’s human resource management unit, urged the farmer-trainees to give their best efforts on the production of quality silage because it can be a real profitable business that they can pursue. The trainees later had a field tour at Bena Corn Corporation in Alaminos, Laguna. It is one of the country’s two biggest exporters of corn silage to South Korea.